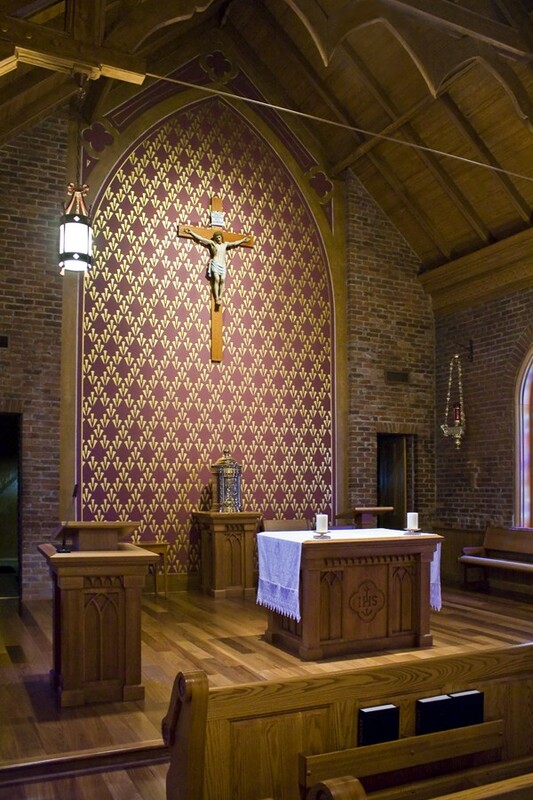 Manresa House of Retreats is located in Convent, Louisiana on the banks of the Mississippi River midway between Baton Rouge and New Orleans. 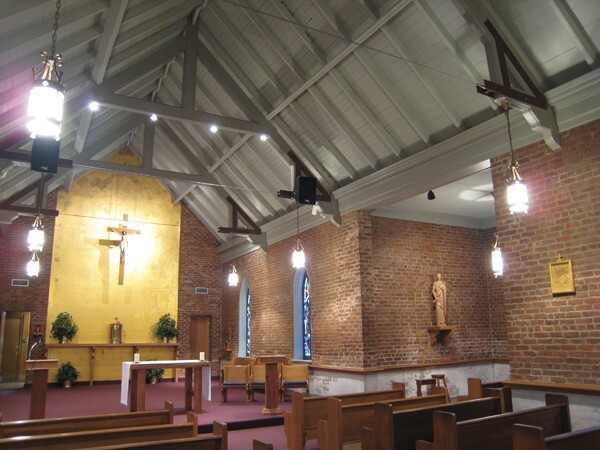 Manresa House of Retreats was founded by the Jesuits, officially known as the Society of Jesus. In 1541, St. Ignatius of Loyola founded the Society of Jesus during a severe Reformation of the Church. Manresa House of Retreats is named after a town in the Basque country of Spain where St. Ignatius lived and composed much of his spiritual writings. Some of the historic and picturesque buildings on the 130-acre campus date from the early 19th Century, when Manresa was the site of Jefferson College, a private school for sons of plantation owners. 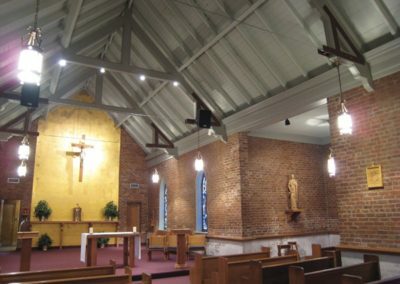 Between the Civil War and the Great Depression the Marist Fathers conducted the college as a Catholic school. 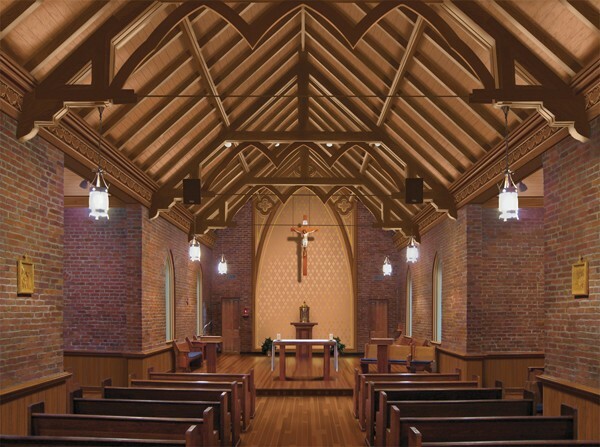 The Jesuit Fathers purchased the property in 1931 as the site for a retreat house. A 1950’s renovation removed the original stylized letter “M” shaped arches from Sacred Heart Chapel. These decorative arches were restored in the 2009 restoration. 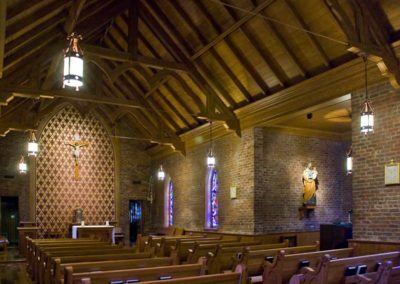 Manresa lore has it that the original arches were intended to pay tribute to both Mary the Mother of God, as well as to the Marist Fathers who staffed St. Mary’s Jefferson College at the time the chapel was constructed. Today, some maintain the “M” stands for Manresa. 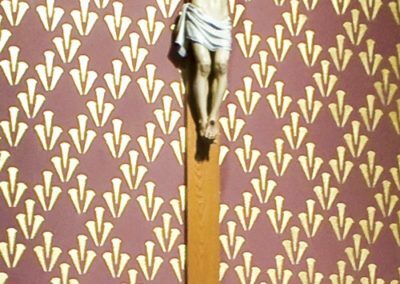 The Studios’ interior design and restoration of the historic chapel included painting and decorating of the chapel’s interior, faux wood graining, trompe l’oeil, stencils and gilding. 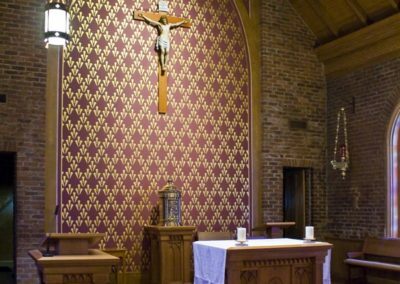 CSS Artists applied maroon and gold painted highlights, the official colors of the Loyola family, to the sanctuary wall. 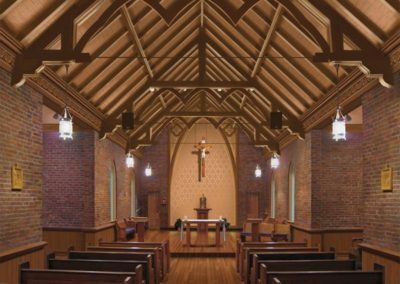 The warm, natural tones of the wooden Chapel ceiling shelter and create a sense of solidarity between the congregation and the beauty of nature.